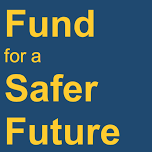 The Fund for a Safer Future (FSF) plays a strategic role in the gun violence prevention movement, pooling resources from multiple foundations and private donors to invest in targeted, practical, strategies to reduce gun injuries and deaths. FSF supports rational, evidence-based policies at the local, state and federal levels, and invests in organizations, research institutions, and advocates working to reduce the toll of gun violence across the United States. FSF currently includes 14 foundation and individual donors and has made more than $6M in grants to reduce gun violence since 2011. As a donor collaborative, FSF is in a unique position to steer and influence the philanthropic sector’s coordinated approach to gun violence prevention. Partners in the Fund have a unique opportunity to share strategies, learn from one another, and pool resources for collective impact. FSF is growing steadily as the public’s attitudes toward gun violence shift, and the organization is likely to have a significant voice in the gun violence conversation for some time to come.